Terms like “sleeper” and “undervalued” get thrown around with such frequency these days that their significance has reached Stephen Hill levels. In the last week alone, I have seen Teddy Bridgewater, C.J. Spiller, and Matt Forte touted as redraft sleepers for 2015. If a player is being drafted as a fantasy starter, it is difficult to brand them a sleeper. This same logic can be applied to dynasty startups and the first round of dynasty rookie drafts. Instead, we should be labeling a late flier with potential to return significant value as a sleeper. How about a player being ranked by PlayerProfiler as the 113th wide receiver? 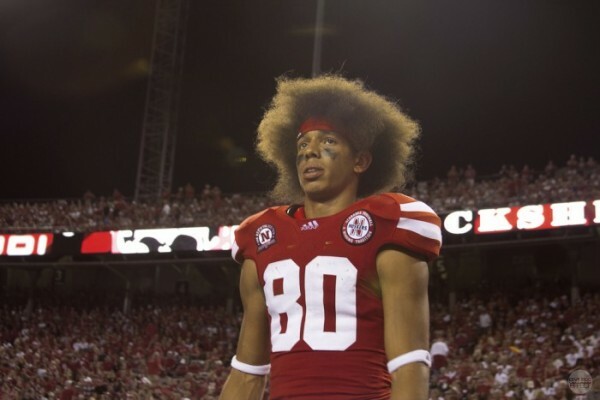 This is my ode to Kenny Bell, a player who can be had for a (Metallica) song. It is easy to forget about Bell, the unheralded receiver from a run-first school coming out alongside a teammate who was a Heisman candidate (Ameer Abdullah). Looking at his college numbers below, it is hard to be optimistic. However, this is where using a platform like PlayerProfiler can be helpful in digging deeper. Bell’s breakout age of 19.5 is borderline elite, showing that while his numbers may not seem great on the surface, he created a good amount of the team’s production at a young age. Add in a 17.0 YPR (based on his best and final seasons averaged) and we have a player that shows big play ability. Fast forward to the combine, a place where PlayerProfiler catches fire in a frenzy of constant updates and stat geeks seeking their fix. That man with the fire poker is Kenny Bell. Just for fun, let’s look at Odell Beckham as a comparison point. The areas where Beckham wins (the catch point, short area quickness) are shown in his PlayerProfiler page workout metrics (agility and catch radius). So taking into account Bell’s burst score (135.1, 96th percentile), agility score (10.81, 88th percentile), and catch radius (10.34, 97th percentile); we can see the possibilities for future success. Now, that’s not to say that they are comparable, but it speaks to the elite nature of Bell’s athletic profile and the level to which his NFL draft position is misleading. Mike Evans is the top receiver for the Buccaneers and that doesn’t plan on changing. He can win downfield in a way that Bell cannot and has been a dominant factor with lackluster quarterback play in both college and the NFL. Where the situation becomes interesting is with Evans’ current running mate, and starting flanker, Vincent Jackson. Currently, he is among the highest paid receivers in the NFL and on the tail end of his prime (32 years old). That said, Jackson has an incredible PlayerProfiler resume, as you can see below. If Tampa Bay decides to get a little gun shy about ponying up the $12.2 million in 2016, they could decide to cut Jackson in the last year of his deal and save $9.7 million. That would open up an opportunity for Bell to step into a role (flanker) where he is well suited to succeed. I would have no issues with an Evans/Bell combination for Jameis Winston to lob deep balls to for the foreseeable future. Here we are, the end of this soliloquy. Have I, and by extension, PlayerProfiler, convinced you of Kenny Bell’s place in the pantheon of NFL wide receivers? While most rankings suggest Bell is barely worthy a dynasty roster spot, this is an instance where dissension from “minion” status could pay off handsomely by buying a player who is being had for a song.